Whitehall Distributors provide a large variety of products and services, ranging from the installation of clotheslines, to the designs and customization of letterboxes. Commercial or residential, we welcome all customers. Please browse our website to find out more about the products we provide. For more information, quotes or personalized jobs, please visit the Contact page or call our friendly sales team. Scroll through our range of residential mailboxes below, or use the search bar above to find the product you're looking for. Key Largo - Modern, clean design with little to no maintenance required. Barbados - Modern, clean design with little to no maintenance required. These models come standard with a Brushed Silver mail insert which accommodates A4 size envelopes lying flat (Australia Post Compliant). The mail insert is fully lockable (with 2 keys provided) ensuring the security of your mail. As the insert is supplied in a Brushed Silver finish you can paint over it to match your house facade colour or alternatively leave the modern look of the silver as a contrast against the Letterbox colour you choose. Clean design with functional flip-top opening. All Stainless Steel, clean smooth lines, add a real architectural statement to your house. Excellent value! Large A4 sized box. 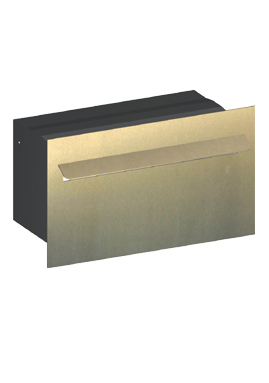 A4 Size Stainless Steel Wall Mount Mailbox, Overall dimensions 330mm Wide x 370mm High x 100mm Deep. Fully made from 304 Grade Stainless Steel. Modern stylish design with a horizontal paper tube. 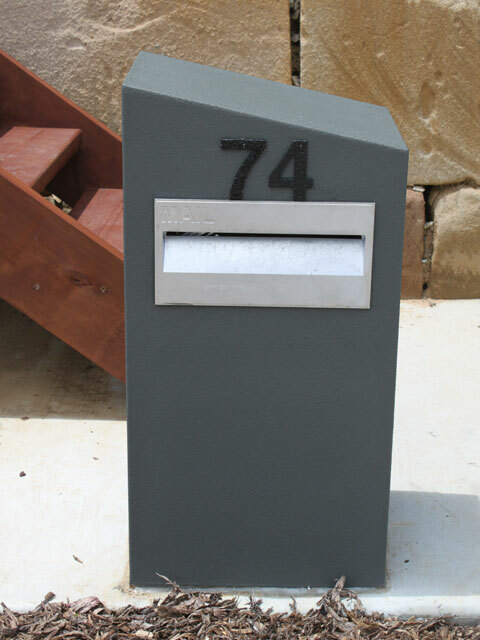 Large A4 sized mailbox, 330mm wide x 500mm high. Front and Back Set 9"
Cast aluminium Front and Back Set only. C2mm Stainless Steel Face on an anodised alum box with key lock rear door. Options include laser stencil cutting numbers (and street name if req.) in the front face with a black backing applied. Heavy duty 2mm stainless steel plate on a full anodised aluminium corporate style box. The stainless steel face overhangs by approx 20mm. 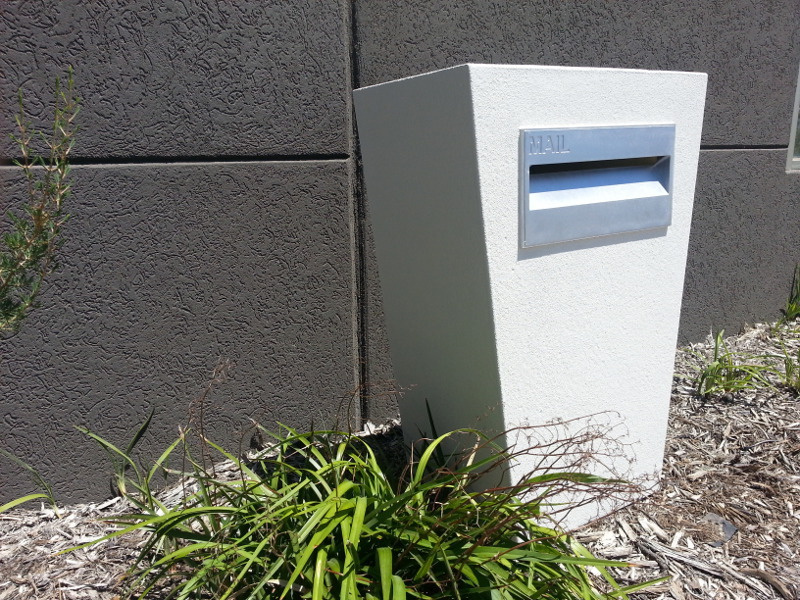 Cast aluminium, modern style mailbox. Key Lock door. Takes A4 Size mail. 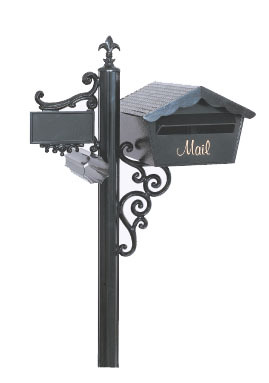 Cast aluminium letterbox on medium stand. Takes A4 size mail. Sandstone mailboxes have arrived... Click here to view the range.